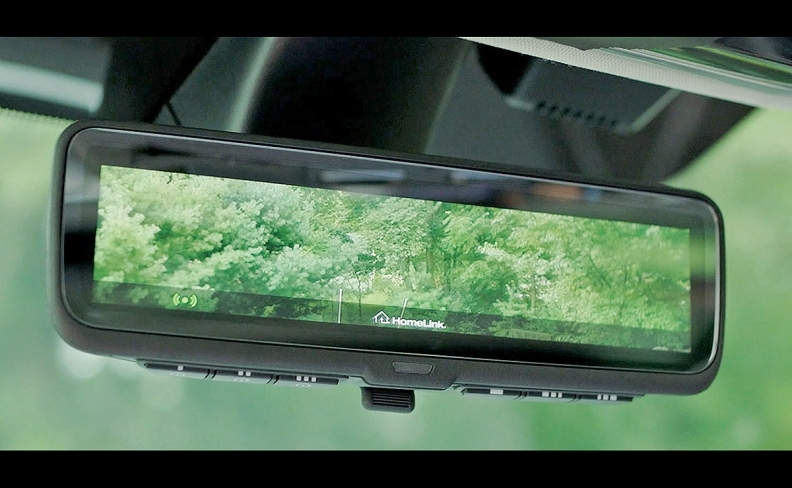 Gentex offers HomeLink-enabled rearview mirrors. The supplier expects to reach a larger market by adding smart-home features. Pretty soon, motorists will punch a button in their overhead console to open the garage door, turn on the house lights, adjust the home temperature, turn on the sound system and unlock the front door. This next step in connectivity -- dubbed the Internet of Things -- will be a cockpit option in the next couple of years. Gentex Corp., supplier of HomeLink remote garage door openers, is branching into home automation. At the CES technology expo last week in Las Vegas, the company introduced an updated HomeLink that also can control smart-home systems such as Alexa, Wink or Nest. "One hundred percent of our customers are trying to figure out how to handle home automation," said Gentex CFO Steve Downing. "They are all trying to figure it out. Some have no strategy yet, but they all acknowledge it." Gentex, best known for its self-dimming mirrors, acquired HomeLink in 2013 from Johnson Controls. Gentex estimates that its North American sales of garage door openers will rise 10 per cent this year to 8.5 million units. Downing believes the company has a marketing head start because the HomeLink brand is well known. But larger competitors are jumping in. At CES, Robert Bosch GmbH displayed in-car apps that allow drivers to monitor activities at home, adjust the thermostat or even check food supplies in the fridge. Bosch, a major producer of sensors for the Internet of Things, hopes to exploit growing demand for smart appliances. Although it's unclear whether car-home connectivity has wide appeal, automakers are testing the market. At CES a year ago, Ford Motor Co. announced plans to integrate its Sync voice activation with Alexa and Wink. For example, a Ford owner could ask Alexa to close the garage door, turn on the porch lights or activate the home security system. In August, Hyundai Motor Co. introduced an app that allows Genesis owners to lock, unlock or warm up their vehicles remotely by using voice commands via Alexa. While the technology for car-to-home communications is readily available, security could be a major stumbling block. Some smart appliances were developed on software platforms that can be easily hacked. Software developers got a warning of sorts on Oct. 21, when hackers temporarily shut down Netflix, Twitter, Reddit, CNN and other targets. The hackers used malware to link millions of home security cameras and other devices to their network of compromised computers for their attacks. The incident underlined the need for automakers to shield vehicles from poorly designed smart-home systems. The motorist punches the HomeLink button on the rearview mirror or roof console. HomeLink then emits a Bluetooth signal to activate the smartphone app, which in turn connects to the home network via the cloud. Because the system is not connected to the vehicle's controller area network, or CAN, bus, hackers can't gain access to the computer chips that control its brakes, accelerator, engine, etc. HomeLink uses a short-distance radio frequency signal to activate the garage door -- a signal that cannot be hacked via the cloud. The HomeLink signal also could lock or unlock the doors of a home. But to deter hackers lurking nearby, programmers would employ a rolling security code -- a standard keyless entry feature for vehicles and garage doors. The question hovering over the technology is: Do motorists want any of this? Tech-savvy car owners have shown some interest, but it's not a game-changer, says analyst Chris Schreiner of Strategy Analytics. 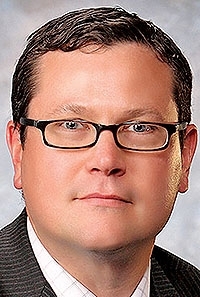 "We are seeing increased demonstrations of vehicle-to-home communications," Schreiner wrote in an email. These systems "will simply allow the user (when home) to control their vehicle without having to take out their smartphone." Still, Downing sees a marketing opportunity. Until now, HomeLink was limited to car buyers who owned garages. With a smart-home feature, Gentex can market HomeLink to anyone. "People already associate HomeLink with their arrival at home, so it makes a lot of sense," Downing said. "If you don't limit it to people with garages, we can open it up to a larger market."